Whenever we are home, we always like to meet up with the locals and foreigners who live on the Silver Coast in Portugal, on one of their weekly walks. So Wednesday morning arrived, we dressed in our walking gear and set off to meet the group at 10:30 am. I was map-reading, we got lost. Yes, even with the help of GPS, we arrived twenty minutes late, and of course, the group had left. Having taken more than an hour to get here, it seemed silly just to turn around and head home, so we decided to have a little nose around the area. 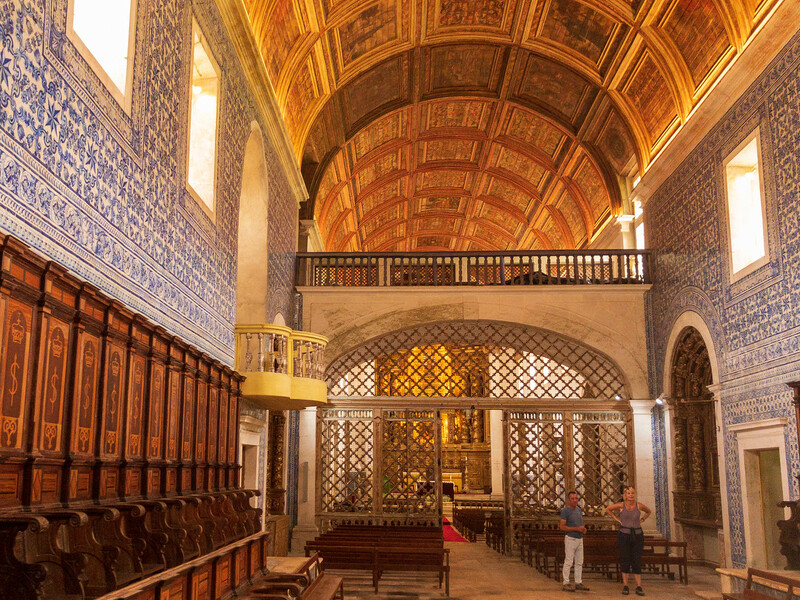 We were parked outside the Santa Maria Monastery of Coz, not too far from the city of Alcobaça. 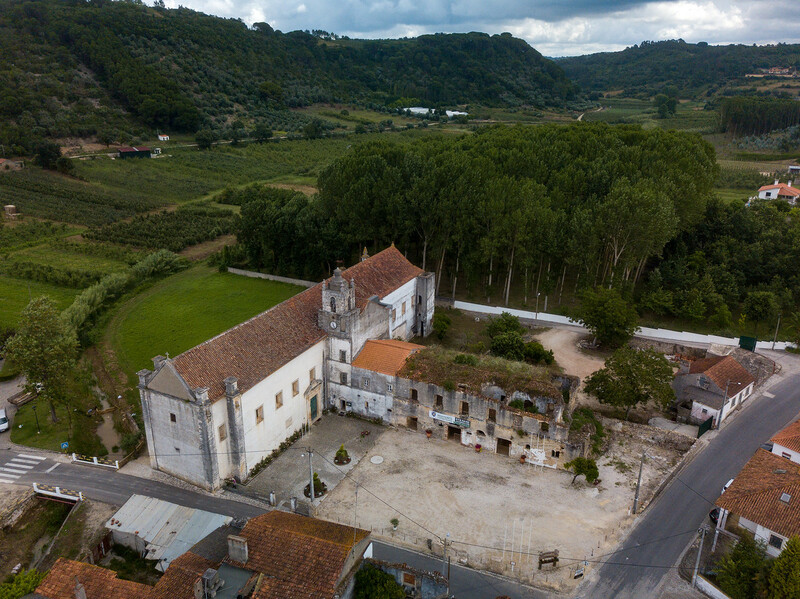 Today only the church survives, the convent next door where apparently up to 160 nuns lived at one time lies in ruin. We had heard that the church was worth visiting but alas it was locked. We headed across the road to what we thought was a bakery but actually turned out to be a restored wine cellar where they do wickerwork. 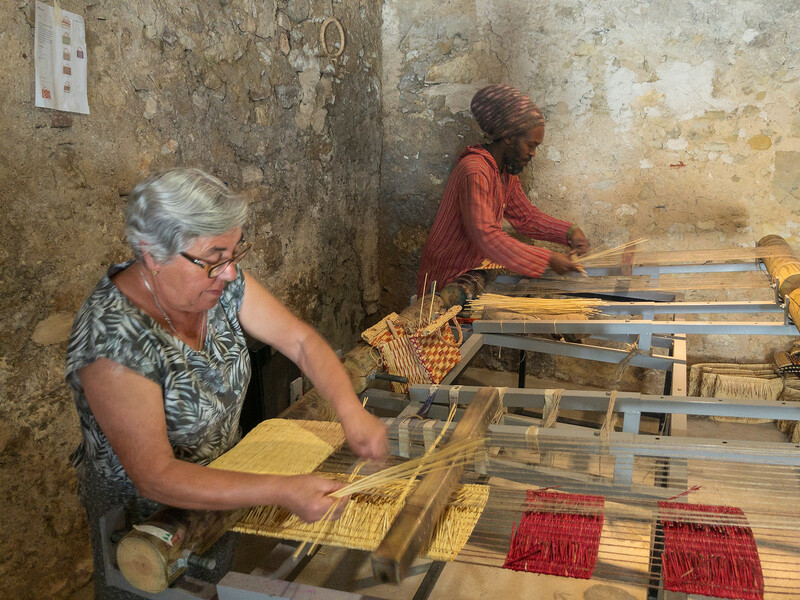 This is a social economy project called simply Coz Art where they make wicker bags and placemats, have workshops and do demonstrations. And of course I had to have a go, it was actually somewhat therapeutic and relaxing, could this be my secret talent? The owner of the workshop appeared. ‘You want to have a look inside the church?’ He said in perfect English. How does everyone know Jonathan and me aren’t Portuguese? So we did, and it was gorgeous. Jon was disappointed he hadn’t brought his proper camera with him as the church was really pretty inside. The artwork on the ceiling was stunning, decorated with 80 uniquely painted wooden panels. 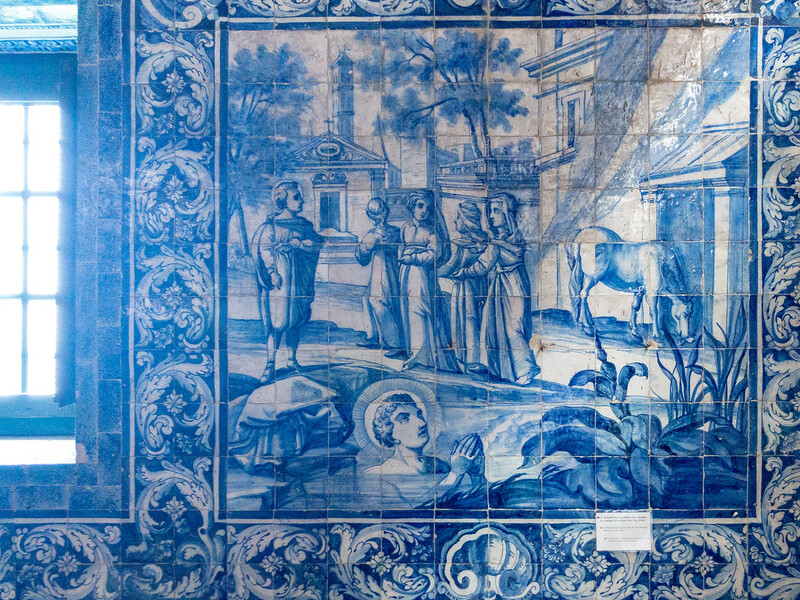 The sacristy where the nuns sat was covered with gorgeous azulejos (painted ceramic tiles). By now, we were enjoying Coz and feeling quite pleased that we had missed the hike. So a little bit of history, the female monastic community of Coz began in the 13th century when widows and single women lived and worked together for a quiet life. The nuns lived a life of complete abstinence and only spoke with outsiders when negotiating with the local farmers. 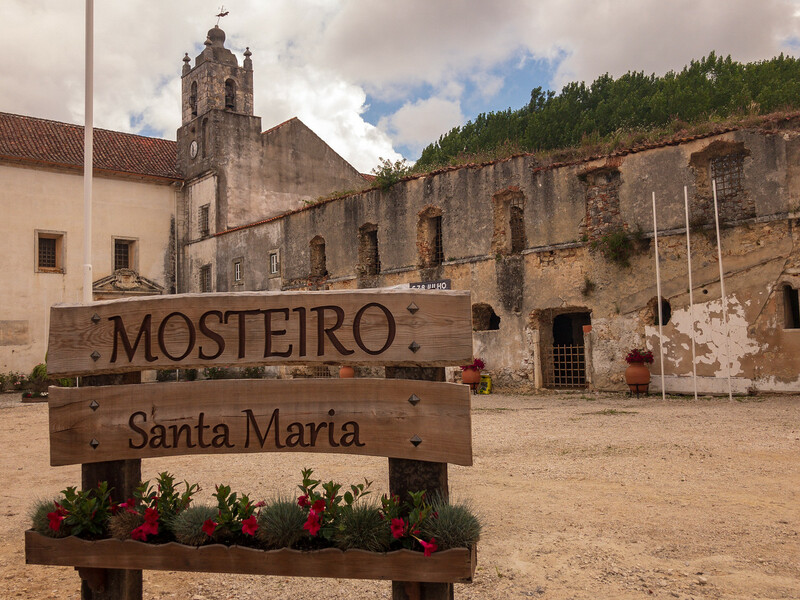 By the 16th century, the monastery of Santa Maria de Coz was one of the wealthiest Cistercian monasteries in Portugal. The monastery is open daily except for Mondays. If the church is locked, then just pop over to the wickerwork shop to get the keys. Close to Coz, high up on the nearby hill overlooking the village is the Hermitage of Santa Rita, which offers excellent views over the region. If you are in the area and have your own transport, the village of Coz sometimes spelt Cos, is well worth a visit. Without your own car, it could be tricky to get there. The nearest major towns are Alcobaça and Nazaré.